The Community Health Center in Medford Oregon has just completed a major renovation and expansion of their facility which enables them to serve many more members of the community. 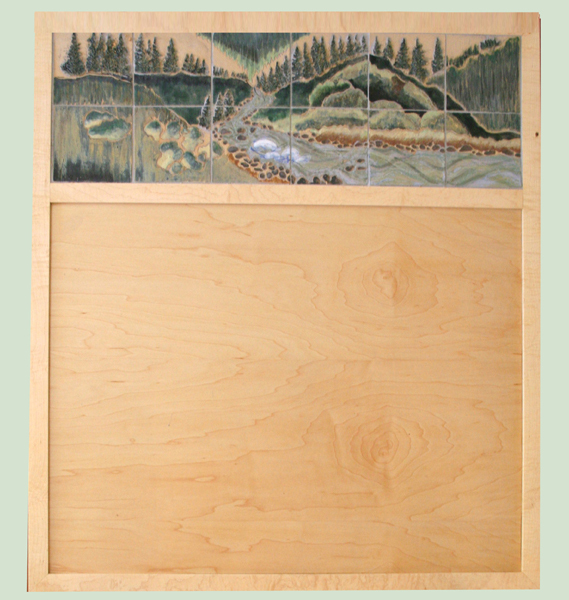 In an effort to honor the many community supporters and donors who have made the clinic possible, the Center commissioned Sue Springer to create a ceramic mural in handmade relief tile to highlight the mountains and rivers of the Southern Oregon landscape. Recently completed, the panel is ready to be mounted and donors names on brass plates will be attached to the wood frame. In addition, individual room tiles were created and set into wood frames to designate the individual donors who have specified their donation to sponsor a specific room. 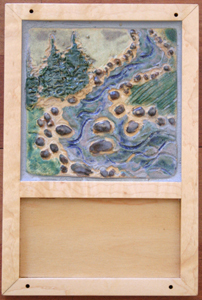 Sue Springer, of Illahe Studios and Gallery designed and made the ceramic tiles in consultation with the clinic. The wood frames were made by Andrew Froelich of Ashland.